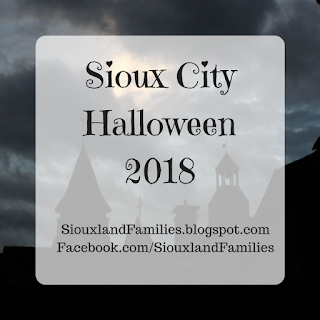 Santa Pictures in Sioux City & How to Win Yours For Free! This post is sponsored by the Southern Hills Mall. Santa is coming to the Southern Hills Mall, for photos and for fun! 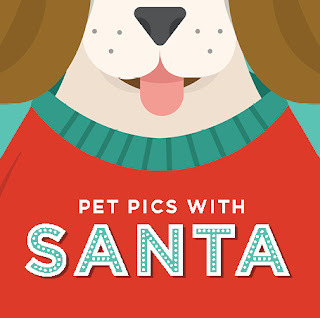 Want to take pictures with Santa this holiday season? Would your kids would love the chance to hang out with Santa and make crafts or eat cookies? Here's everything you want to know about Santa's visits to the Southern Hills Mall, plus a fun opportunity to win a Santa Photo Package from the Southern Hills Mall! I have taken my kids to have pictures taken with Santa at the Southern Hills Mall in the past, and Santa was very sweet, even after all of my kids refused to sit on his lap (I ended up holding one while the other stood in front of Santa. It was still cute!). This week I saw the mall elves setting up the photo area, and it looks so festive and cute, with tons of traditional Christmas decorations and props! If you want a classic Santa photo experience, the Southern Hills Mall is definitely the place to go. Santa will be available for photos at the Southern Hills Mall from November 17th through December 24th! Santa will be available for pictures most hours that the mall is open, and his exact hours will be posted on the mall website each week. 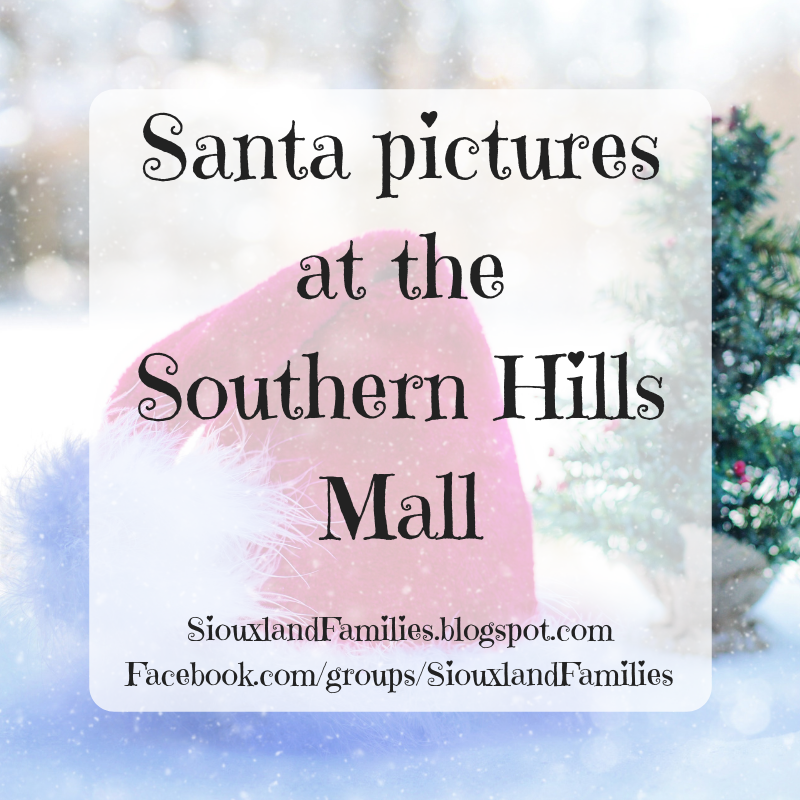 There are a wide variety of options for photo packages with Santa at the Southern Hills mall, so whether you are trying to stick to a budget or get copies for all your relatives (you know all the Grandmas want a copy! ), you should be able to find something that works for your family. Packages start at $24.99 and are all under $50, and a la carte fun like ornaments, globes, frames, and plush toys range from $7.99 to $24.99! If you want to skip the lines, you can buy a Santa FastPass reservation. Visit the Santa FastPass website to sign up for a time. 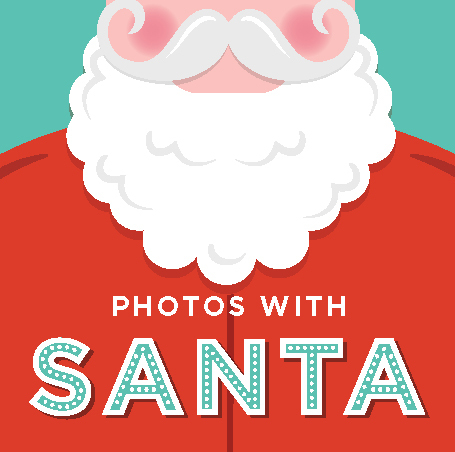 FastPass photo packages vary from about $25 to $50 and come with a personalized call from Santa! Consider bringing things like stickers, Color Wonder coloring sets, etc to make the wait in line more fun--you know your kids best and what will help them be patient and relaxed. Plan your outfits. Spontaneous pictures in whatever your kids happen to be wearing that day are totally fine, but you could also consider dressing in silly Christmas sweaters, pajamas, or dressing more formally! I love this post from KC based blogger and fashion designer Kilee Kesler of One Little Momma and Nickel + Suede, about choosing outfits for family photos and think the tips apply well to Santa Pics as well! Also consider whether you might end up in the picture yourself--I ended up unexpectedly holding one of my kids last time we did Santa pics at the Southern Hills Mall and I was lucky that I was randomly wearing my cutest jeans and a red sweater! 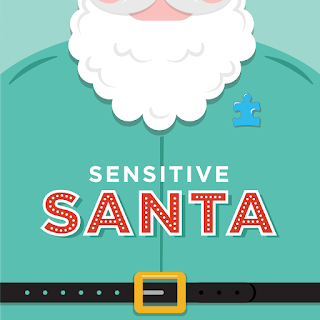 Bring a list--some kids are too shy or overwhelmed to tell Santa their list in person, and some talk Santa's ear off with a long list. 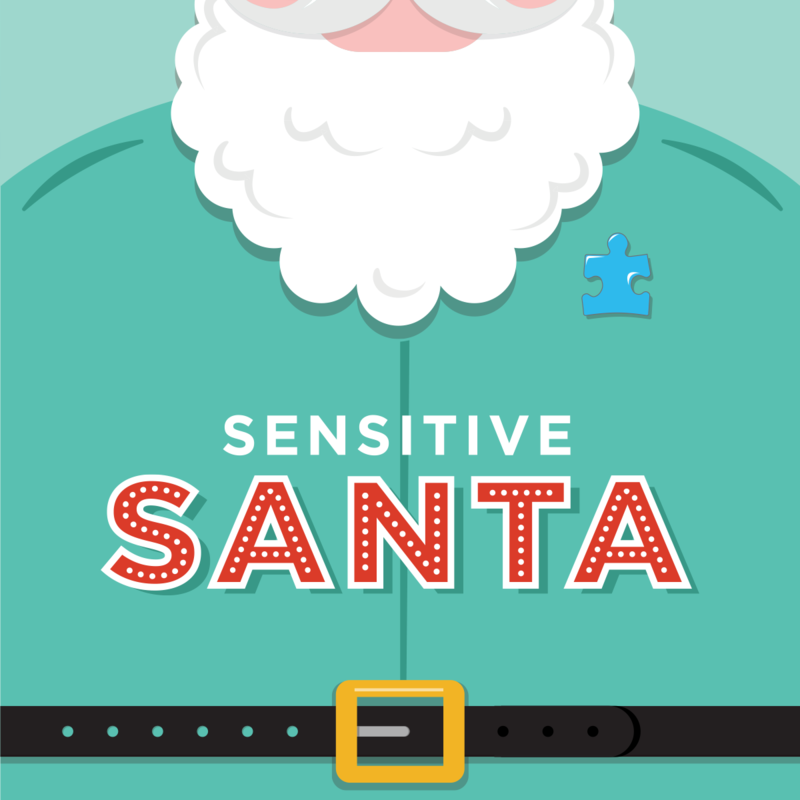 Bringing a physical list avoids both these pitfalls, and your children handing Santa their lists can be a super cute picture. 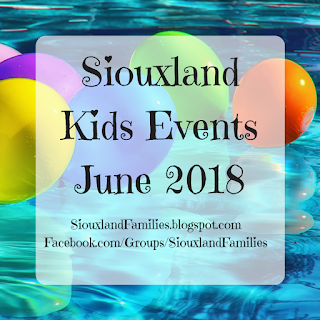 To make this easier, I created a free printable PDF Santa list that I will be adding to the Files section of the Siouxland Family Friendly Events Facebook group. The PDF prints two lists side by side, so you can cut them apart for siblings or fold it in half to have a two sided list. I made it very simple with just black ink so you can be creative with your paper or cardstock choice. Lights and music will be turned down a bit to make the environment more welcoming to kids who have special needs or who are otherwise sensitive to a high-sensory environment. As a mom of a kids with special needs, I really love that they offer this! 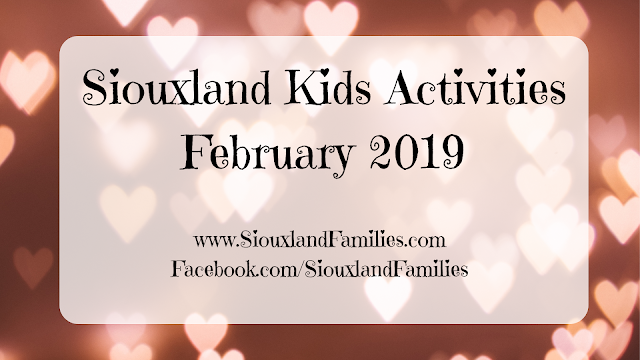 Free crafts and snacks will be offered in an area separate from the picture taking area as an option to help kids adjust and stay calm and happy! Limited space available to help keep things low sensory, so please sign up here. Santa's set will be completely cleaned after so allergy sufferers like me don't need to worry about taking pictures with Santa in the days after the event. Thanks for cleaning up for us, elves! Date and details to be announced! 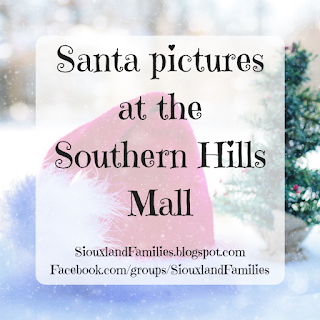 For more information about Santa pictures and other festive fun at the Southern Hills Mall, visit the Southern Hills Mall website or Facebook page.